Nationwide rallies against pension changes in Brazil have stretched into a second day, disrupting bus and subway services, local media report. The demonstrations began Wednesday, resulting in violent clashes with police. On Thursday, thousands of Brazilian workers took to the streets of Sao Paolo and Rio de Janeiro, following a day of protests against the government's reform plan to cap pension benefits and raise the retirement age, Globo TV reported. The protesters – mostly rural workers and members of labor unions – broke into the Finance Ministry in Sao Paulo Wednesday, throwing rocks and sticks at the building and lighting flares. 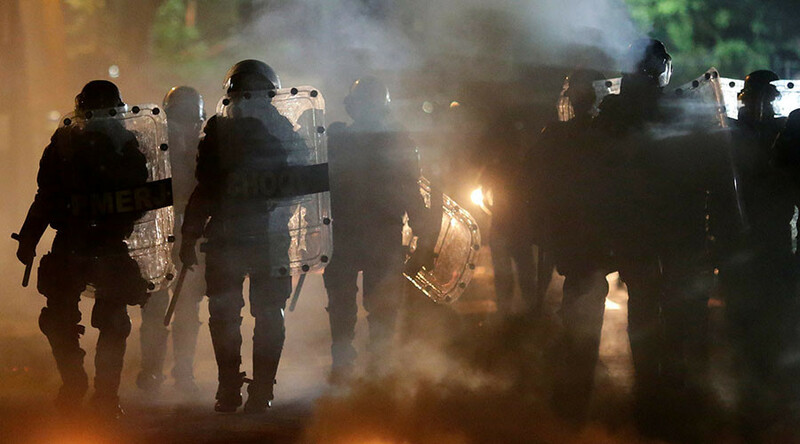 Major avenues of Brazil’s biggest cities were virtually shut down. “This illegitimate government that was installed here is trying to eliminate our rights with those reforms that are made to destroy all we have achieved,” Mariana Tripode, one of the demonstrators, told Ruptly news agency. “We will not accept this type of coup behavior that kicked out our government,” she added. Wednesday’s protests ended in violence, with police firing canisters of tear gas and throwing stun grenades at demonstrators. The welfare reforms, planned by Brazilian President Michel Temer, would reduce pension benefits based on the minimum wage and increase the retirement age from 65 to 70. Temer's government says changes would help to prevent the pension system’s “collapse,” fixing the country’s budget and pulling it out of a two-year recession. “No one will have their rights taken away,” said Temer in a speech Wednesday, describing the welfare reforms as “saving the benefits of today's retirees and of the young who will retire tomorrow,” as quoted by AFP. Brazilians “little by little will understand that it's necessary to support this road to put the country back on the rails,” he added. However, the demonstrators don’t seem to share the president’s sentiments.